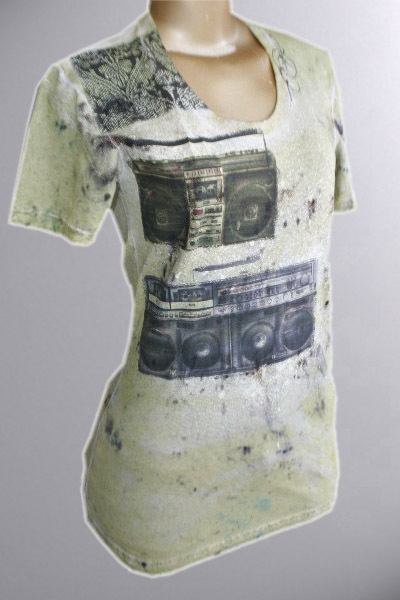 Throwback vintage wash fine sheer cotton Couture Tee with distressed dye and retro boombox sketches. Be sure to enter the dye color choices you would like us to hand dye in a similar fashion as seen above. Remember, you can always create your very own from scratch Here, or in our DYO section. We make the process super simple and quick! To see some more of what we do so well, click on the Image Gallery link above and view an array of our wearable art collections. Artistic inconsistencies make every reproduction unique and yours. No one else will have a Couture Tee quite like yours. Kids, Babies, & K9s are made of high quality vintage soft cotton material.